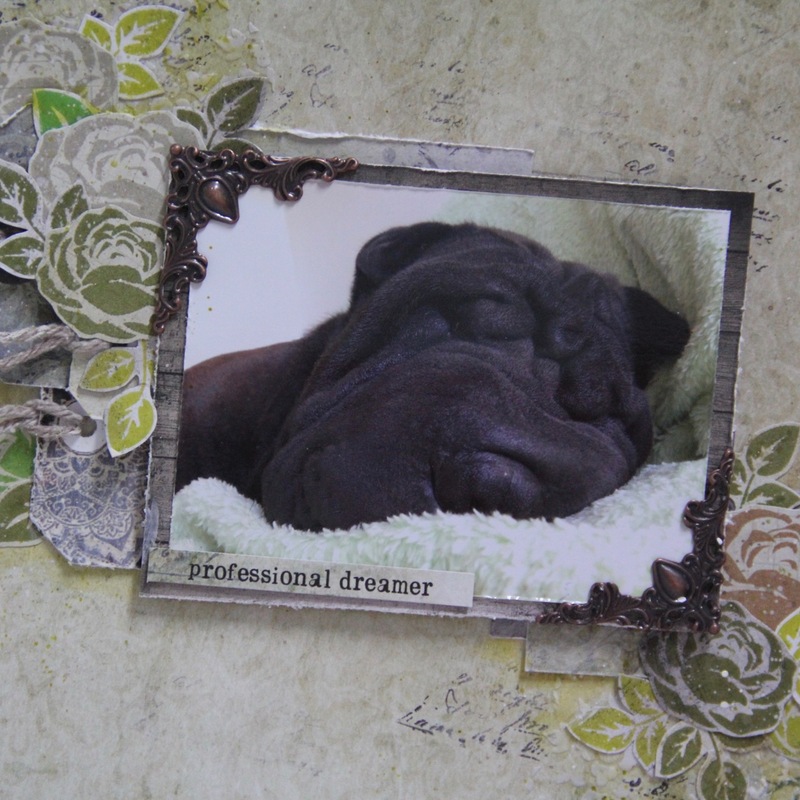 today I would like to share my simple layout – proffesional dreamer – and that is our shar-pei Caspi I used awesome 7 dost studio papers from Fortune-teller collection. Stamped roses are from my czech shop – roses stamps. It is really simple layout but I like it. 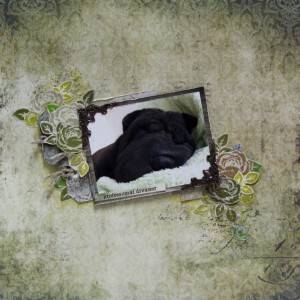 This entry was posted in Layouts and tagged 7 dots studio, Distress ink, Finnabair, layout. 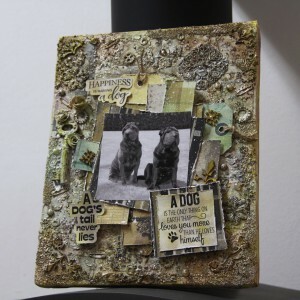 this canvas was made for July challenge – 7 dots studio – with topic – ANIMALS. We have at home 2 dogs sharpeis and one cat. 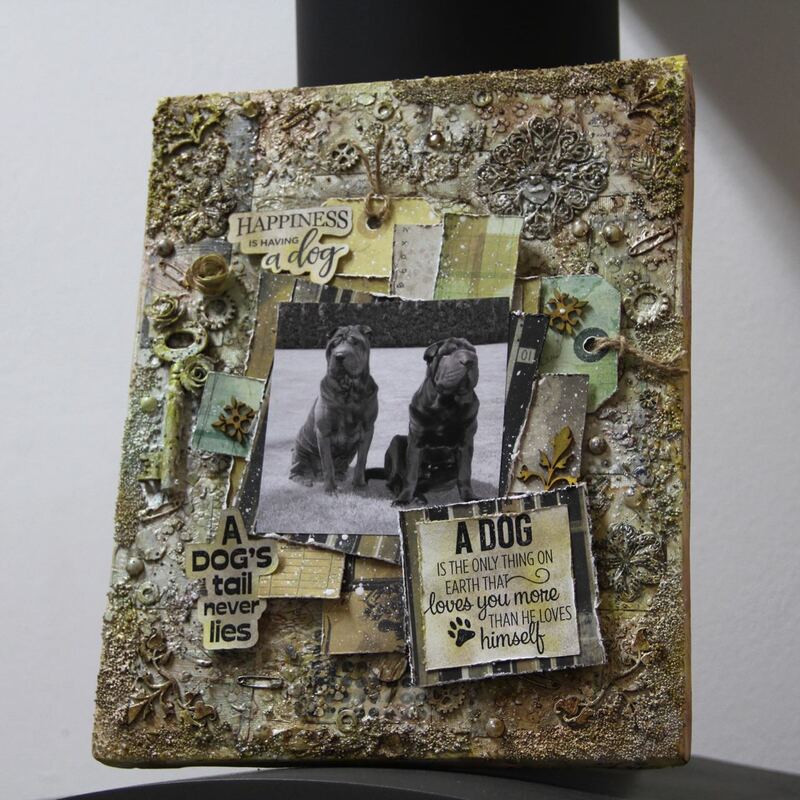 I made canvas with our dogs – Endy and Caspi. Caspi is 2,5 years old and Endy 1,5 year. They are so great best friends. I work from home and my furry friends are always by my side. I am never alone. 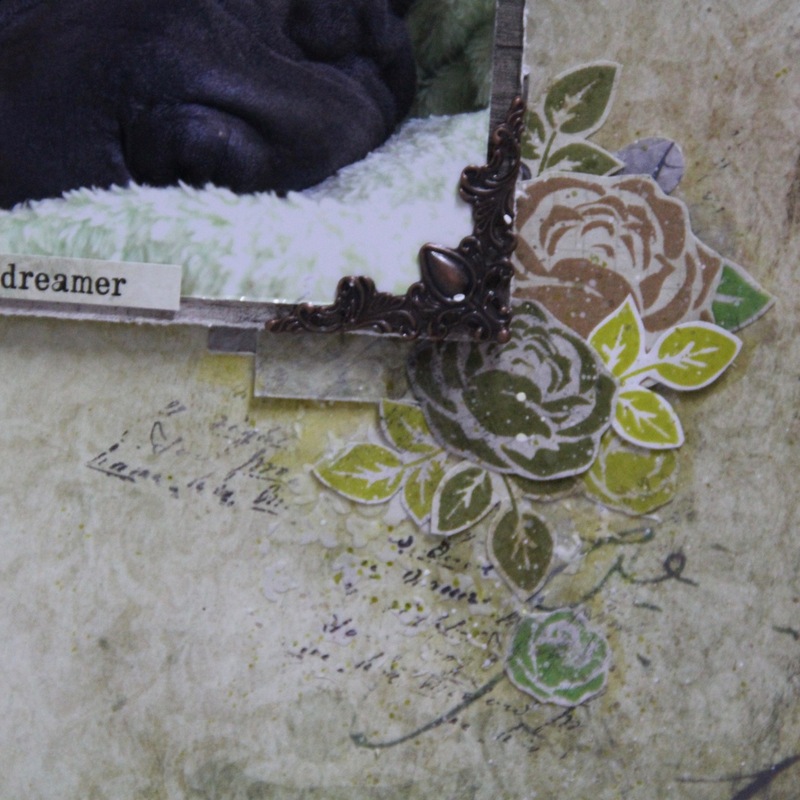 This entry was posted in Challenge and tagged 7 dots studio, Challenge, Distress ink, Finnabair, I kropka, Lindys Stamp Gang, mixed media, Prima Marketing. 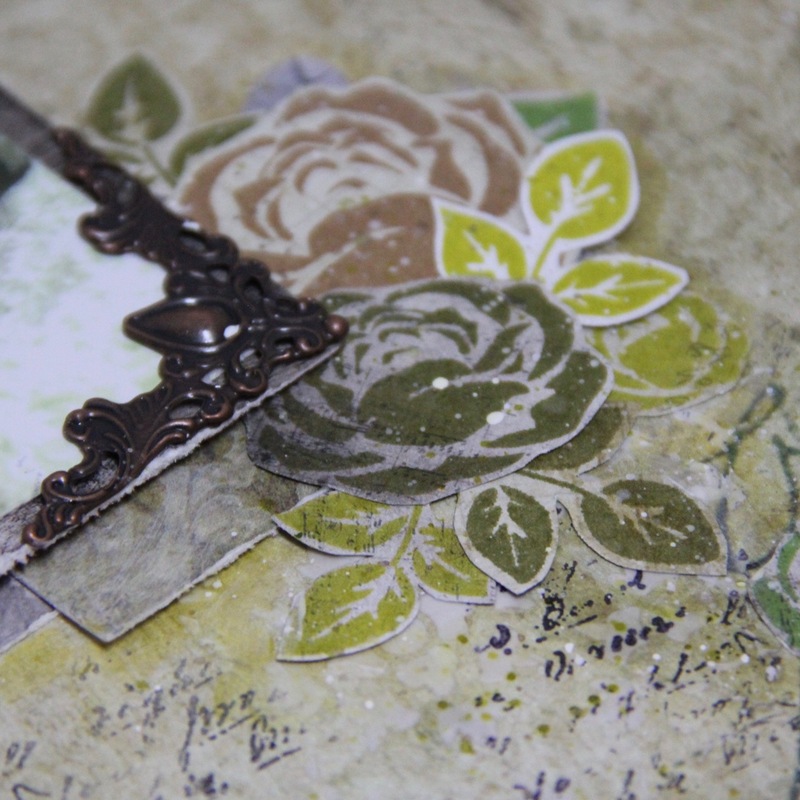 this mixed media notepad is for Skrapki-wyzwaniovo challenge. I made notepad because topic is: typesetting – everything with letters or numbers and what is better for decorating than notepad. Base was ugly pink cheap notepad, I applied gesso, made some structure with 2 kinds of stencil and great structure paste from Finnabair, another structure is made with Golden micro beads medium and 13arts mica flowers and sand. 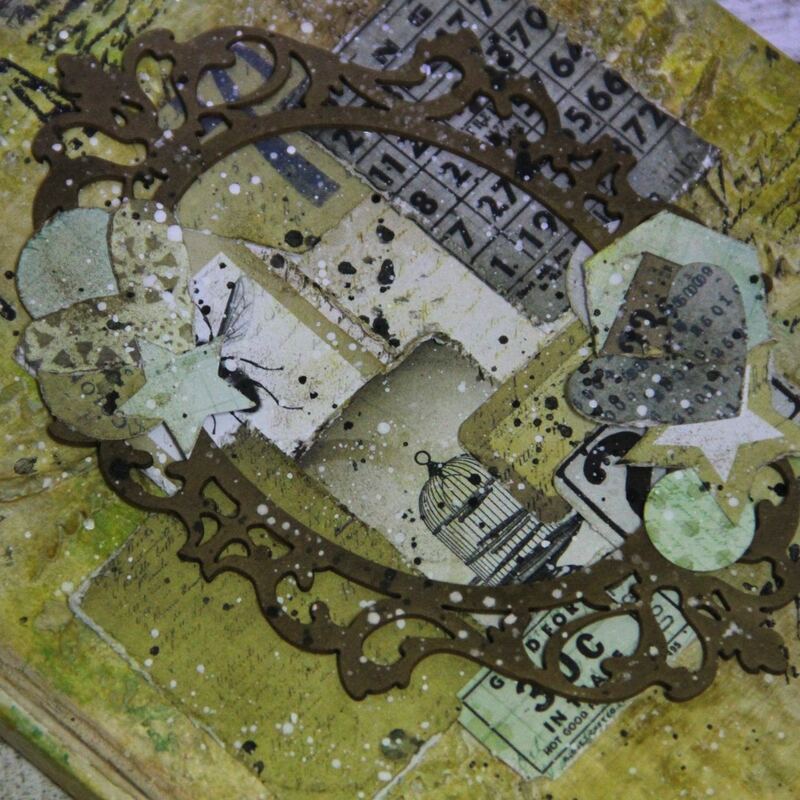 Whole notepad is painted with Lindys stamp gang sprays and acrylic paints and also Tim Holtz Distress inks. 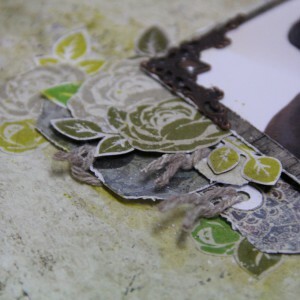 in corners you can find embellishments from La Blanche. Main decoration is great frame from I Kropka and papers from 7 dost studio. 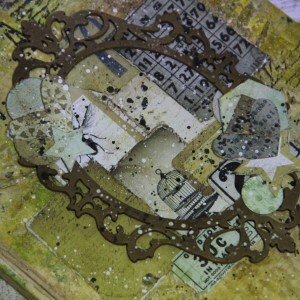 I did some stamping with Archival inks and final splatters are made with 13arts splash black and white. This entry was posted in Challenge, Mixed media and tagged 7 dots studio, Challenge, Distress ink, Lindys Stamp Gang, mixed media. My card. 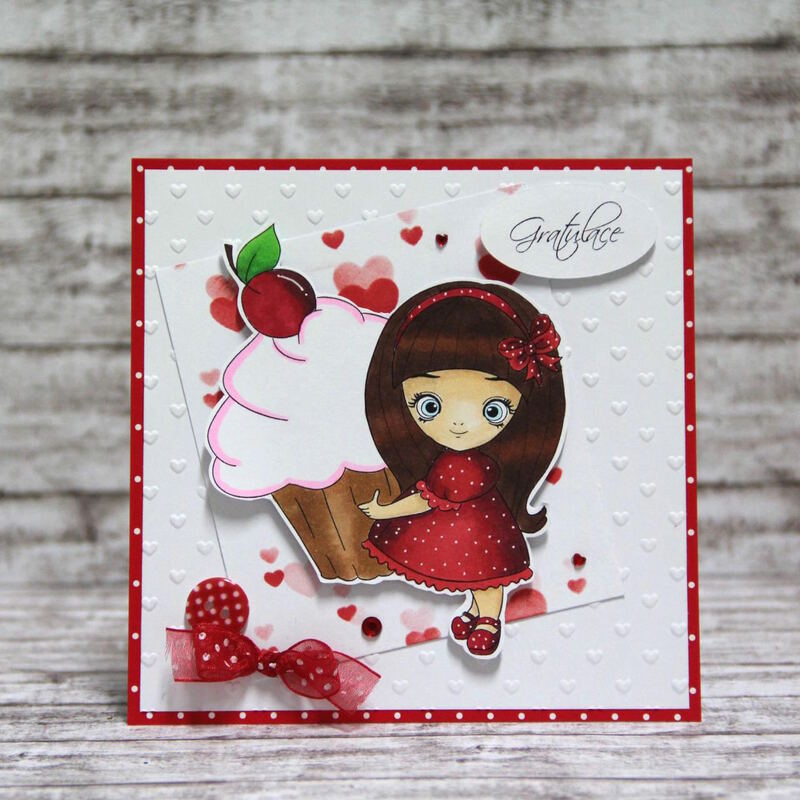 Background is made with Structure paste from Ranger, three sprays from Lindys stamp gang and two colours of basic watercolours and mint acrylic colour. Yes I made big mixture on watercolour paper, stamp is from Pink and Main – I stamped it with Archival ink and background is made with two colours of Distress ink. 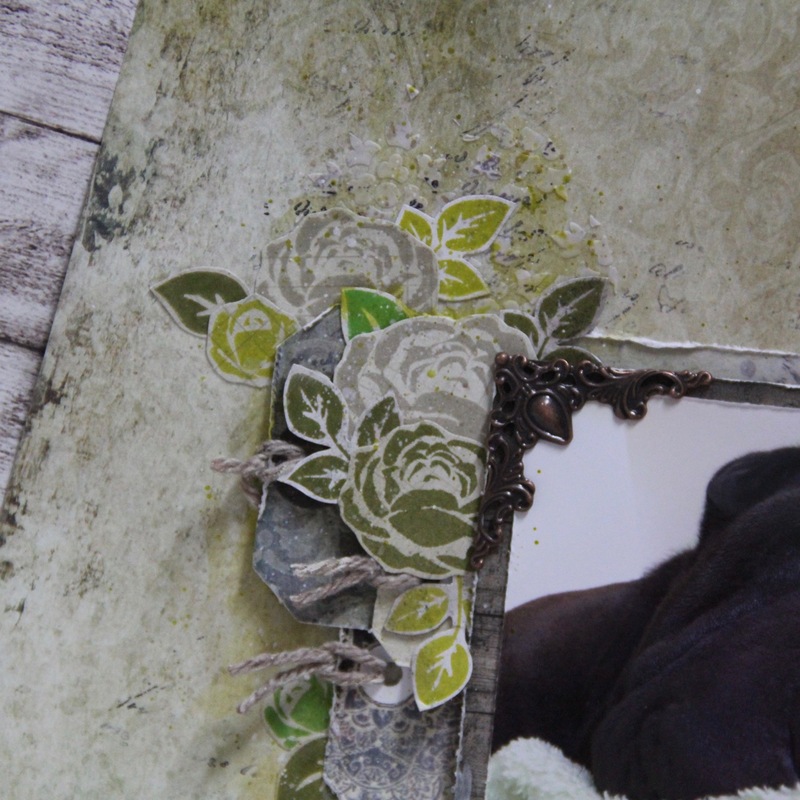 I add micro self adhesive gems and two stamped hearts. 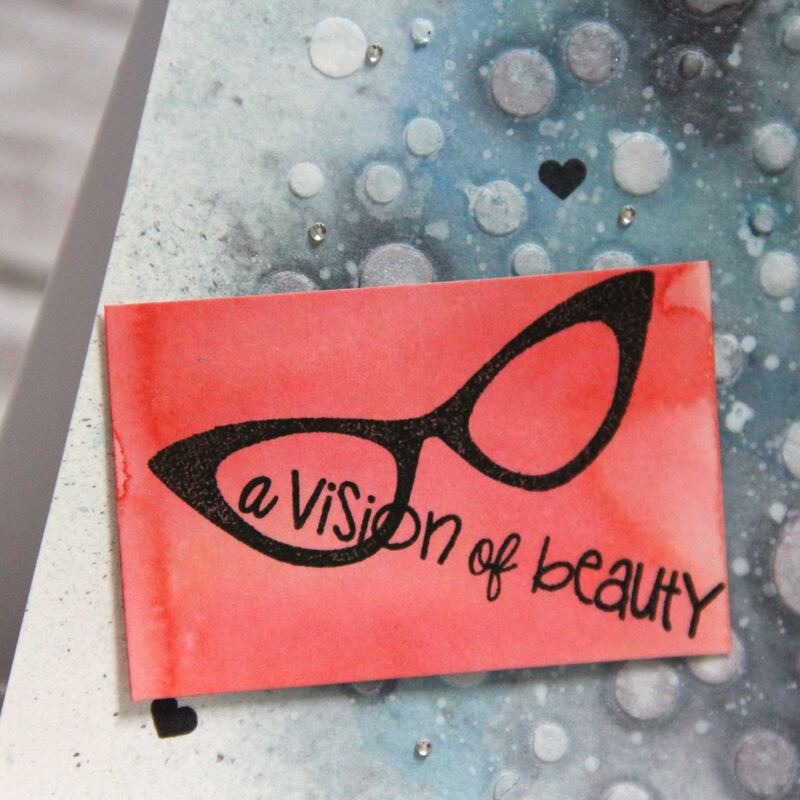 This entry was posted in Challenge and tagged cardmaking, Challenge, Distress ink, mixed media, Pink and Main, stencil, watercolours. 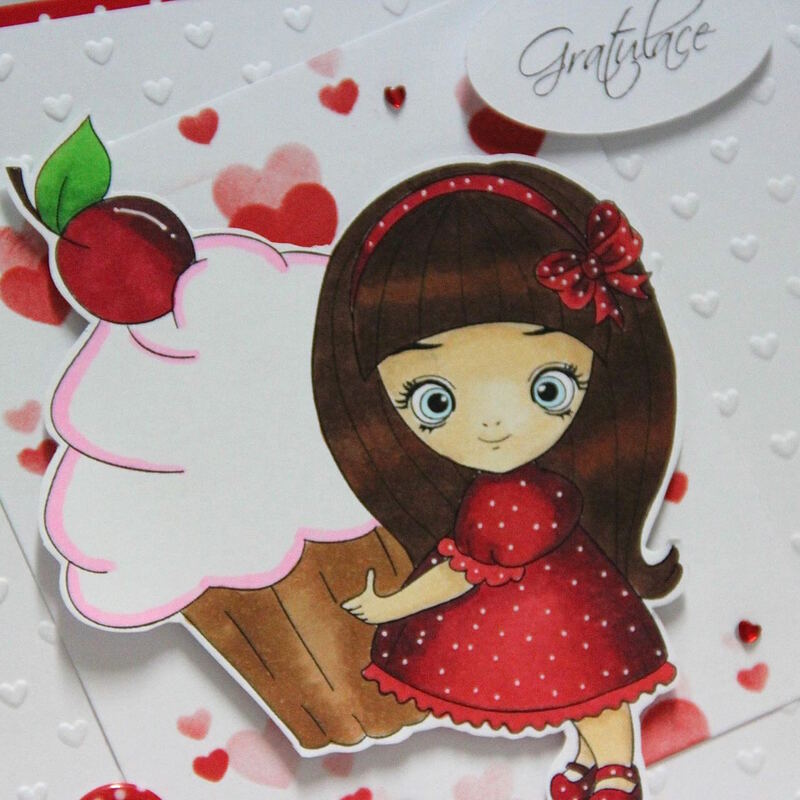 Hi, this card was made for The Card Concept challenge with topic Cupcakes. I used great image from Little Blue Button Stamps. I used freestyle collage. Base is dry embossed with heart embossing folder, than I used stencil with hearts and Distress ink. Image is printed and coloured with Copics and white Sakura gel pen. Than I add sentiment Gratulace it means in english Congratulation, one bow, some self adhesive gems and one button. This entry was posted in Challenge and tagged cardmaking, Challenge, Copic, Distress ink, Little Blue Button Stamps.